Panic Button, the developer behind the groundbreaking port of Doom to Switch, is planning to announce their next Switch project next month. The developer is responsible not only for Doom on Switch, but also for the upcoming port of Wolfenstein 2: The New Colossus. It also ported Rocket League to Switch, and also worked on numerous games on PS4 and Xbox One. Speaking to Variety about their work on the Switch, studio co-owner Adam Creighton has let slip that the team will be announcing another Switch port next month. But what could it be? With the article focusing on Panic Button’s belief that Switch games can release day and date with their PS4/Xbox One counterparts, the safe bet would be that Panic Button is working on a Switch port of either Doom Eternal or Wolfenstein: Youngblood, both announced during Bethesda’s E3 showcase. But it could end up being something completely different. Astro Duel Deluxe, an indie title released on Switch last year, was Panic Button’s first ever title as a publisher – it’ll be interesting to see what else they have planned. 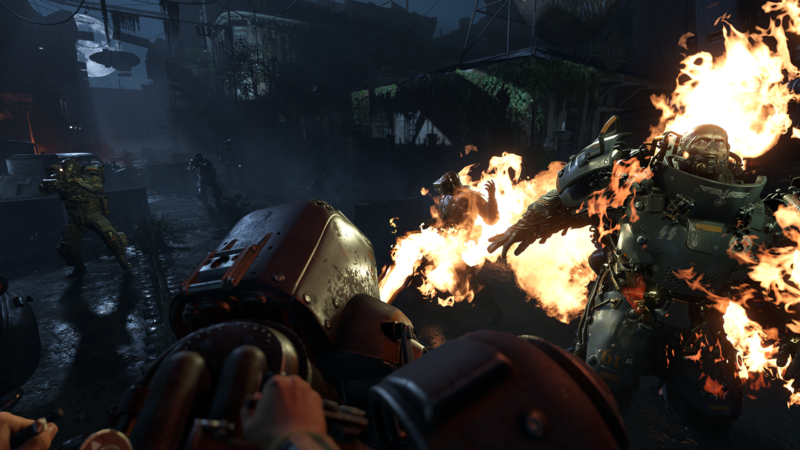 The Switch port of Wolfenstein 2: The New Colossus is due to release on June 29.